This commentary first appeared on the web site See Thru Edu, a project of the Texas Public Policy Foundation. Although I majored in chemistry as an undergraduate, I was a decidedly laboratory-challenged student. For everybody’s future safety, I spent my career in the chemical industry in commercial and management functions, leaving the R&D to those who were much better suited to it. However, I do recall a few fundamental chemical principles. One of them is inertia, the idea that a body at rest will remain at rest. Another is the second law of thermodynamics, which describes “entropy” — the concept that things, if left to themselves, will tend towards increased randomness and disorder. Over the last few years, I have been actively writing commentary on the “business” aspects of higher education, trying to draw upon my 30 years in corporate life and my subsequent thirteen years on the faculty of a liberal arts college. Its pretty clear to me that the law of entropy is alive and well in the higher education sphere. Just think of what has been happening in the last few years. Demographic trends are suddenly running against the colleges, with national enrollments actually dropping for the first time. The scramble to capture prospective students is leading many colleges to lower their admissions standards, and to offer increased financial incentives — which impact college reputation and viability. 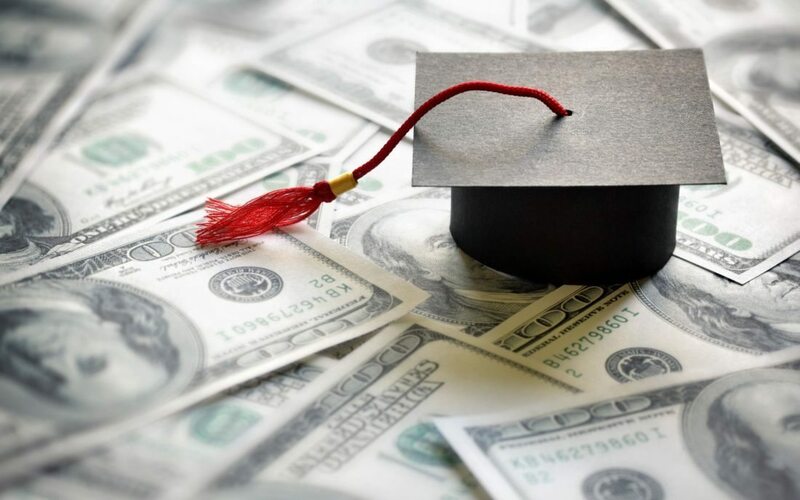 At the other end of the spectrum, colleges and universities are now reaching out to retirees and baby boomer career-changers, in order to offset lost traditional revenue while better utilizing faculty and campus resources. Student profiles are now much different from what they used to be, with 33% of all students now part time, and 40% attending community colleges. Faculty composition, at the same time, has migrated from mostly tenured to mostly contingent. Now, this type of change isn’t necessarily bad. In fact, I think it’s actually pretty good, because organizations (and people) are most inclined to seize new opportunities, develop new business models and in general “sharpen their saws” in times of change. As one example, look no further than the rapid development and enormous impact of digital technology. Makers of computers, software, communications satellites and self-driving cars, to name just a few examples, are all propelled forward to new markets and opportunities in the private sector, and the progress in just a few years has been remarkable. In higher education, not so much, I’m afraid. Despite some of the nascent initiatives mentioned earlier, inertia is a powerful force. Universities and colleges really get serious about adopting new models when they are forced to do it, rather than anticipating and capitalizing on emerging market forces. Of course, the enrollment crisis is now forcing them to begin to embrace new business models. Where can higher education go from here? Fortunately for them, if unfortunately for the rest of us, there is another set of forces buffeting our country. In the midst of political chaos, there is a crying need for resources that can pour oil on the water, and introduce desperately needed objectivity and serious thought. This may provide an additional motive for higher education to re-invent itself, and to contribute meaningfully to help solve our social conflicts. These conflicts are rooted in distrust, class warfare, racial and ethnic bias, and the general political polarization that cleaves our country right down the middle. Into this breach can step the higher education institutions, applying their resources in new and exciting ways, and engaging not only with the younger and the older students, but with that very broad swath of people in the middle, who can most benefit from continuing education that is truly focused on content and outcomes, rather than on credentials. The schools need to go to the students, rather than to entice the students to come to them. Digital technology and online learning, of course, have made this broader outreach possible. Colleges and universities need to engage objective, mature faculty who can operate in a decentralized, ever-changing environment. They need to partner with large organizations (for-profit and non-profit) to deliver information and to structure dialogue among participants that will lead to greater understanding of who we are and where we are going — and need to go. Some of the educational content will be technical, and we certainly need that. Much of it will be based on the liberal arts curricula, and delivered in a manner that emphasizes critical thinking, respectful debate, and consensus building above all. These new models of educational delivery will not be aimed at the traditional student. That market will continue to exist, but it is fracturing, and in any case represents a clear minority of the population. Students of all ages, educational levels and occupational roles should be viewed as part of the market potential. My guess is that many of them will welcome this opportunity to learn and to think more deeply. The emphasis needs to be on true “life-long learning” – not on simply obtaining a credential. We need to help people move from perceptions to facts, and from political spin to informed thinking. Does this sound pie in the sky? A number of years ago a colleague who worked at George Mason University told me of the seminar they were offering for newly elected US Representatives and Senators. The seminar dealt with the fundamentals of tax, revenues, deficits, debt, entitlements and the many other financial challenges with which they would be dealing as they wrote laws for the country. According to my colleague, the seminar was always filled to capacity — by men and women who supposedly knew a lot about these things already. You can imagine the need for better information among our population as a whole, and how that might help break down barriers as people focus on problems to be solved, rather than on each other as opponents in the political process. My hope is that institutions of higher education, large and small, graduate and undergraduate, urban and rural, will collectively embrace the need for this new strategic orientation — for their own survival and growth, as well as for the needs of a country that is dissolving into rancor and divisiveness. Such an effort will look different for different institutions, and there will be all sorts of tactical considerations to be addressed. But by allowing current market forces to continue to buffet the colleges and universities, and hoping that these schools will somehow, someday figure out how to deal with it, is not the answer. The answer is for educational institutions to seize this generational opportunity to develop a more comprehensive delivery of education content to those who can most benefit from it. Bernie Sanders and others on the political left have been advocating for “free college for all.” Obviously, nothing in life is free, and this needs to be challenged. But I’m beginning to like the “for all” part. It’s just that the “all” may be non-traditional, non-credential earning students. Exactly the people that can use educations to help reshape the cultural landscape. After all, they are the ones who comprise the real America.